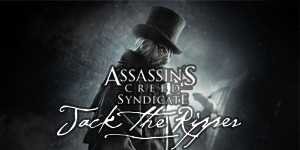 Jack the Ripper DLC is the first DLC of the Assassin's Creed Syndicate Season Pass. I worked on Game Design during a summer internship. Jack the Ripper DLC focuses on the famous killer, introducing new fear and investigation features, alongside with exclusive content (weapons, skills, etc.) I worked on it during my 4 month internship at Ubisoft Montpellier. Jack the Ripper DLC focuses on the scary cold blooded murderer. The new missions allow the player to experience the new Fear System mechanic, allowing him to frighten his enemies to weaken their forces. He'll face stronger enemies ranging up to rank 11, and mind-twisting crime scenes to investigate. Platform, still in beta, is a Shootmania mode focused on speedrunning and gathering collectables in chain. 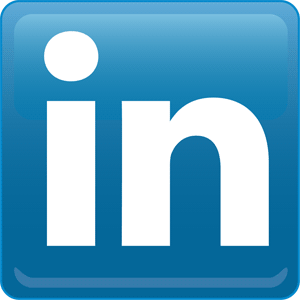 As an intern, I worked on Game and Level Design. Please keep in mind the game is still at a beta stage. 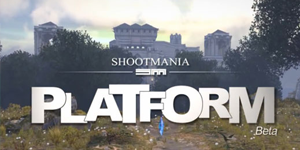 Shootmania Platform is a mode based on speedrunning and collectibles-gathering. I worked on it in a 7-people team during my 3 month internship at Ubisoft Nadeo. In Shootmania Platform, players are challenged on their moving abilities. The beta features 12 maps designed to teach newcomers Shootmania's unique movement system. Players have to speedrun the levels, gathering trails of collectibles on the way. Their speed doing this is rewarded by a score, and one of the 3 medals if they're good enough ! FERAL is a first person hunting game in which you embody a wild feline animal. I'm in charge of Game and Level Design. In Feral, you must survive and try to climb your way to the top of the food chain. The game takes place in a imaginary and hostile forest where you can switch from predator to prey in seconds. 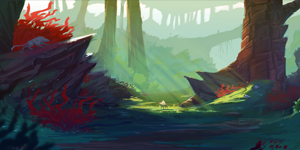 I'm working on Feral with 6 other students as a final year project. Old Salts is an exploration/coop multiplayer game in which players sail on a procedurally generated universe. The sailors encounter enemies on the sea and discover islands. I’m in charge of Game and Level Design. Please keep in mind the game is still in early development. Old Salts is an exploration and cooperation game. It's made to be playable with xbox controllers, from 1 to 4 players in local. In Old Salts, players embody sailors exploring a sea world, working together to solve puzzles and fight their way to discover amazing secrets. Old Salts gameplay is thought to be simple and natural. 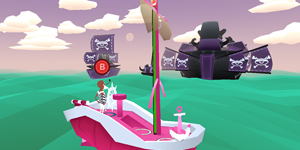 Players move the boat by using spots on the deck, to raiser or lower sails and turn, for example. We focused on using the same gameplay on the islands, using similar inputs for similar actions. At sea, they'll encounter enemy ships, that they can fight using the side cannons. 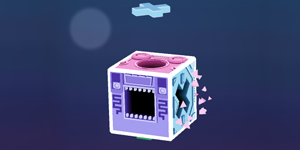 Islands are full of puzzles, friendly or aggressive inhabitants, and items to collect. These can be used to trade, can be worn or used to improve the ship. 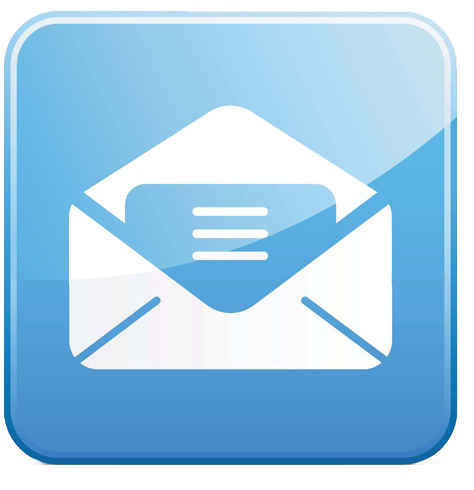 - Level design & building at a micro scale : Islands designs. Includes puzzle fitting 1 to 4 players. - Level design & building at a macro scale : Ocean. Making it worth exploring, placing enemies, boats, harbours, to manage players' progression. 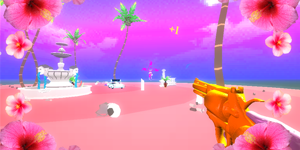 IBISCVS SUNRISE is a FPS game made for the 7DFPS. Fighting cherubs, you'll encounter glitched ones, in which you'll teleport in if you kill them. I was charge of Game and Level Design. 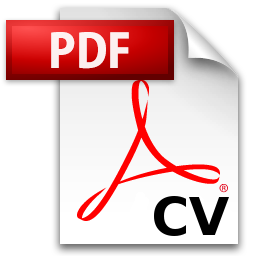 IBISCVS SVNRISE is a FPS about teleportation. 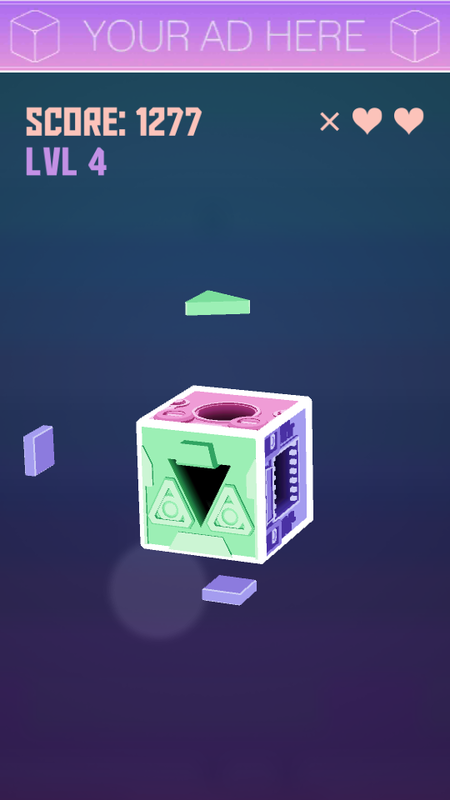 Kuburi is a puzzle mobile game about rotating a cube to match shapes coming at it. It's made to be an infinite game, ending only when you lose. I worked on Game and Level Design. 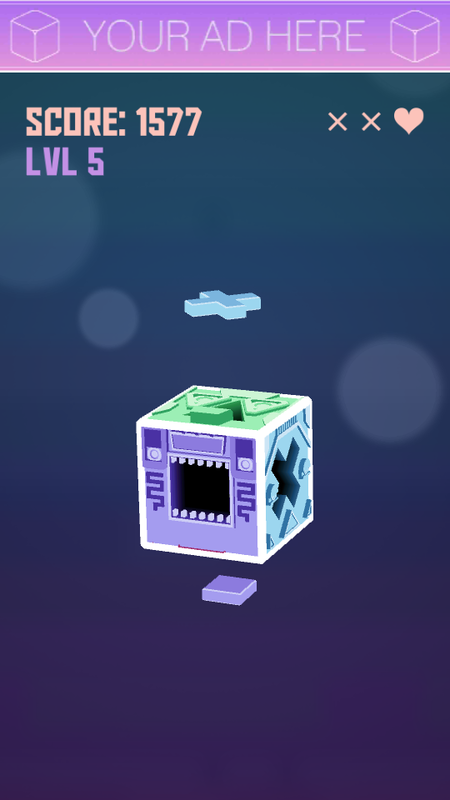 Kuburi is a puzzle and address game about rotating a cube to match shapes coming at it. This student project was about making an infinite game playable with one finger in 5 days. Kuburi was made with 4 other students. I worked on game and level design with another game design student. The real challenge was to balance the difficulty yet keeping the game interesting in the long run. - Level design : Tweaking a lot to make a session interesting : from 30 seconds to minutes.